The Lagos Islanders team is delighted to announce the appointment of Adekunle Binuyo as first-team General Manager. Until his appointment, Binuyo was a founding partner in Basketball Within Borders, a media enterprise established in 2014 where he worked as a basketball Journalist, covering athletics in Nigeria and beyond. Founded in 1984, the Lagos Islanders is arguably the most popular and successful basketball team in Nigeria with millions of fans across the globe. 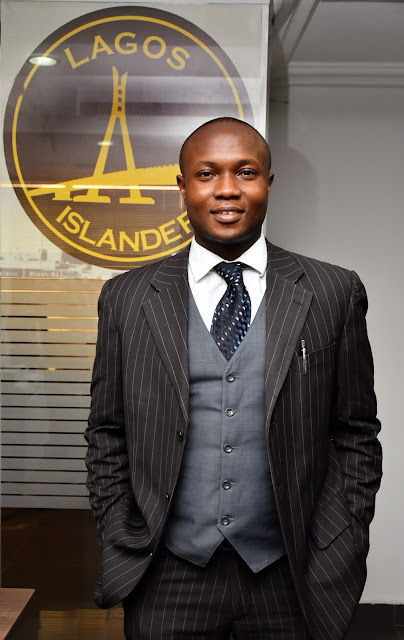 premier basketball brand in Africa and to encourage fan participation across all platforms targeting new trends with millennials" said club President and co-owner of the Lagos Islanders, Mr Damoye Oyesiku. Binuyo, a graduate of Mass Communication at the University of Lagos has garnered experience working in the Nigerian media industry. His experience cuts across the marketing communications sector, journalism, and online publishing. “I am thrilled to get this opportunity to join the Islanders family. I feel particularly privileged to become a part of this well-storied and proud franchise, which the Islanders are. We are changing the roster to position it for better performance and we hope to build on the solid foundation created by the already structured team’’, said Binuyo. No doubt, he will bring his broad and exhaustive knowledge and passion for basketball development to bear on the Lagos Islanders front office. His appointment as the General Manager of the team takes immediate effect and will see him steering the operational wheel of the organization on a day-to-day basis.